The Safety Match is Chekhov's clever parody, a Russian whodunnit. 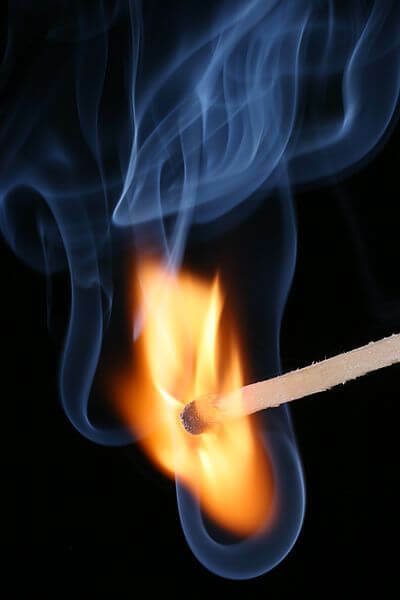 Are you looking for the W.W. Jacobs story, Safety Match? The inspector and his deputy, on visiting the scene of the occurrence in company with Psyekoff, found the following: Near the wing in which Klausoff had lived was gathered a dense crowd. The news of the murder had sped swift as lightning through the neighborhood, and the peasantry, thanks to the fact that the day was a holiday, had hurried together from all the neighboring villages. There was much commotion and talk. Here and there, pale, tear-stained faces were seen. The door of Klausoff's bedroom was found locked. The key was inside. "Ay, poor fellow!" again sighed the inspector. "He was a clever fellow, finely educated, and kind-hearted at that! And in society, nobody could touch him! But he was a waster, God rest his soul! I was prepared for anything since he refused to live with Olga Petrovna. Poor thing, a good wife, but a sharp tongue! Stephen!" the inspector called to one of his deputies, "go over to my house this minute, and send Andrew to the captain to lodge an information with him! Tell him that Marcus Ivanovitch has been murdered. And run over to the orderly; why should he sit there, kicking his heels? Let him come here! And go as fast as you can to the examining magistrate, Nicholas Yermolaiyevitch. Tell him to come over here! Wait; I'll write him a note!" The inspector posted sentinels around the wing, wrote a letter to the examining magistrate, and then went over to the director's for a glass of tea. Ten minutes later he was sitting on a stool, carefully nibbling a lump of sugar, and swallowing the scalding tea. "There you are!" he was saying to Psyekoff; "there you are! A noble by birth! a rich man--a favorite of the gods, you may say, as Pushkin has it, and what did he come to? He drank and dissipated and--there you are--he's murdered." After a couple of hours the examining magistrate drove up. Nicholas Yermolaiyevitch Chubikoff--for that was the magistrate's name--was a tall, fleshy old man of sixty, who had been wrestling with the duties of his office for a quarter of a century. Everybody in the district knew him as an honest man, wise, energetic, and in love with his work. He was accompanied to the scene of the murder by his inveterate companion, fellow worker, and secretary, Dukovski, a tall young fellow of twenty-six. "Is it possible, gentlemen?" cried Chubikoff, entering Psyekoff's room, and quickly shaking hands with everyone. Is it possible? Marcus Ivanovitch? Murdered? No! It is impossible! Im-poss-i- ble! Chubikoff, his assistant, and the inspector opened the door, and hesitatingly, one after the other, entered the room. Their eyes met the following sight: Beside the single window stood the big wooden bed with a huge feather mattress. On the crumpled feather bed lay a tumbled, crumpled quilt. The pillow, in a cotton pillow- case, also much crumpled, was dragging on the floor. On the table beside the bed lay a silver watch and a silver twenty-kopeck piece. Beside them lay some sulphur matches. Beside the bed, the little table, and the single chair, there was no furniture in the room. Looking under the bed, the inspector saw a couple of dozen empty bottles, an old straw hat, and a quart of vodka. Under the table lay one top boot, covered with dust. Casting a glance around the room, the magistrate frowned and grew red in the face. "Mind your own business!" Chubikoff answered roughly. "Be good enough to examine the floor! This is not the first case of the kind I have had to deal with! Eugraph Kuzmitch," he said, turning to the inspector, and lowering his voice, "in 1870 I had another case like this. But you must remember it--the murder of the merchant Portraitoff. It was just the same there. The scoundrels murdered him, and dragged the corpse out through the window--"
"I know there was a struggle, without your telling me! You are not being asked about a struggle. Instead of looking for struggles, you had better--"
"It proves that they strangled him, while he was taking his boots off. He hadn't time to take the second boot off when--"
"They strangled him in the bedroom; and here, fearing he might come round again, they struck him a blow with some sharp-pointed instrument. The stain under the bush proves that he lay there a considerable time, while they were looking about for some way of carrying him out of the garden. "The boot confirms completely my idea that they murdered him while he was taking his boots off before going to bed. He had already taken off one boot, and the other, this one here, he had only had time to take half off. The half-off boot came off of itself, while the body was dragged over, and fell--"
"The safety match proves that to me, for the peasants hereabouts are not yet acquainted with safety matches. Only the landowners use them, and by no means all of them. And it is evident that there was not one murderer, but at least three." Two held him, while one killed him. Klausoff was strong, and the murderers must have known it! "The master's valet, your worship," answered Ephraim. "Who else could it be? He's a rascal, your worship! He's a drunkard and a blackguard, the like of which Heaven should not permit! He always took the master his vodka and put the master to bed. Who else could it be? And I also venture to point out to your worship, he once boasted at the public house that he would kill the master! It happened on account of Aquilina, the woman, you know. He was making up to a soldier's widow. She pleased the master; the master made friends with her himself, and Nicholas--naturally, he was mad! He is rolling about drunk in the kitchen now. He is crying, and telling lies, saying he is sorry for the master--"
The examining magistrate ordered Nicholas to be brought. Nicholas, a lanky young fellow, with a long, freckled nose, narrow-chested, and wearing an old jacket of his master's, entered Psyekoff's room, and bowed low before the magistrate. His face was sleepy and tear- stained. He was tipsy and could hardly keep his feet. Ephraim declared that Nicholas did kill a chicken every evening, and always in some new place, but that nobody ever heard of a half- killed chicken running about the garden, though of course it wasn't impossible. "Afterwards--afterwards--Really, I do not remember," stammered Psyekoff. "I had a good deal to drink at supper. I don't remember when or where I went to sleep. Why are you all looking at me like that, as if I was the murderer?" "Where were you when you woke up?" "There's nothing extraordinary about that--"
"Let me begin by apologizing for disturbing, so to speak, your devotions," began the gallant Chubikoff, bowing and scraping. "We have come to you with a request. Of course, you have heard already. There is a suspicion that your dear brother, in some way or other, has been murdered. The will of God, you know. No one can escape death, neither czar nor plowman. Could you not help us with some clew, some explanation--?" "Oh, don't ask me!" said Maria Ivanovna, growing still paler, and covering her face with her hands. "I can tell you nothing. Nothing! I beg you! I know nothing--What can I do? Oh, no! no!-- not a word about my brother! If I die, I won't say anything!" "Confound the woman!" scolded Dukovski, going out of the house. "It is clear she knows something, and is concealing it! And the chambermaid has a queer expression too! Wait, you wretches! We'll ferret it all out!" "It is quite certain," he said, "that Nicholas had something to do with the matter. Non dubitandum est! You can see by his face what sort of a case he is! His alibi betrays him, body and bones. But it is also certain that he did not set the thing going. He was only the stupid hired tool. You agree? And the humble Psyekoff was not without some slight share in the matter. His dark blue breeches, his agitation, his lying behind the stove in terror after the murder, his alibi and--Aquilina--"
"Aquilina was cook in your house for a month. I am saying nothing about that! The night before that Saturday I was playing cards with you, and saw you, otherwise I should be after you too! It isn't the woman that matters, old chap! It is the mean, nasty, low spirit of jealousy that matters. The retiring young man was not pleased when they got the better of him, you see! His vanity, don't you see? He wanted revenge. Then, those thick lips of his suggest passion. So there you have it: wounded self-love and passion. That is quite enough motive for a murder. We have two of them in our hands; but who is the third? Nicholas and Psyekoff held him, but who smothered him? Psyekoff is shy, timid, an all- round coward. And Nicholas would not know how to smother with a pillow. His sort use an ax or a club. Some third person did the smothering; but who was it?" "Eureka!" he said, entering the little house and throwing off his overcoat. "Eureka, Nicholas Yermolaiyevitch! The only thing I can't understand is, how it did not occur to me sooner! Do you know who the third person was?" "Well, learn that the third person, who acted in concert with that scoundrel Psyekoff, and did the smothering, was a woman! Yes-s! I mean--the murdered man's sister, Maria Ivanovna!" "I am perfectly well! Very well, let us say that I am crazy; but how do you explain her confusion when we appeared? How do you explain her unwillingness to give us any information? Let us admit that these are trifles. Very well! All right! But remember their relations. She detested her brother. She never forgave him for living apart from his wife. She is of the Old Faith, while in her eyes he is a godless profligate. There is where the germ of her hate was hatched. They say he succeeded in making her believe that he was an angel of Satan. He even went in for spiritualism in her presence! "You don't understand? She, as a member of the Old Faith, murdered him through fanaticism. It was not only that she was putting to death a weed, a profligate--she was freeing the world of an antichrist!--and there, in her opinion, was her service, her religious achievement! Oh, you don't know those old maids of the Old Faith. Read Dostoyevsky! And what does Lyeskoff say about them, or Petcherski? It was she, and nobody else, even if you cut me open. She smothered him! O treacherous woman! wasn't that the reason why she was kneeling before the icons, when we came in, just to take our attention away? 'Let me kneel down and pray,' she said to herself, 'and they will think I am tranquil and did not expect them!' That is the plan of all novices in crime, Nicholas Yermolaiyevitch, old pal! My dear old man, won't you intrust this business to me? Let me personally bring it through! Friend, I began it and I will finish it!" It was morning. The magistrate Nicholas Yermolaiyevitch was sitting in his office before a green table, turning over the papers of the "Klausoff case"; Dukovski was striding restlessly up and down, like a wolf in a cage. "I don't say I am not convinced. I am convinced, but somehow I don't believe it! There are no real proofs, but just a kind of philosophizing--fanaticism, this and that--"
"You can't do without an ax and bloodstained sheets. Those jurists! Very well, I'll prove it to you! You will stop sneering at the psychological side of the affair! To Siberia with your Maria Ivanovna! I will prove it! If philosophy is not enough for you, I have something substantial for you. It will show you how correct my philosophy is. Just give me permission--"
"Tetekhoff!" began Chubikoff. "In 1879 you were tried in the Court of the First Division, convicted of theft, and sentenced to imprisonment. In 1882 you were tried a second time for theft, and were again imprisoned. We know all--"
"Brink in Psyekoff!" ordered the examining magistrate. They brought in Psyekoff. The young man had changed greatly during the last few days. He had grown thin and pale, and looked haggard. His eyes had an apathetic expression. "Sit down, Psyekoff," said Chubikoff. "I hope that today you are going to be reasonable, and will not tell lies, as you did before. All these days you have denied that you had anything to do with the murder of Klausoff, in spite of all the proofs that testify against you. That is foolish. Confession will lighten your guilt. This is the last time I am going to talk to you. If you do not confess to-day, to-morrow it will be too late. Come, tell me all--"
"At last! He has confessed!" cried Chubikoff, stretching himself luxuriously. "He has betrayed himself! And didn't I get round him cleverly! Regularly caught him flapping--"
"And he doesn't deny the woman in the black dress!" exulted Dukovski. "But all the same, that safety match is tormenting me frightfully. I can't stand it any longer. Good-by! I am off!" "Veni, vidi, vici!" he cried, rushing into Chubikoff's room, and falling into an armchair. "I swear to you on my honor, I begin to believe that I am a genius! Listen, devil take us all! It is funny, and it is sad. We have caught three already--isn't that so? Well, I have found the fourth, and a woman at that. You will never believe who it is! But listen. I went to Klausoff's village, and began to make a spiral round it. I visited all the little shops, public houses, dram shops on the road, everywhere asking for safety matches. Everywhere they said they hadn't any. I made a wide round. Twenty times I lost faith, and twenty times I got it back again. I knocked about the whole day, and only an hour ago I got on the track. Three versts from here. They gave me a packet of ten boxes. One box was missing. Immediately: 'Who bought the other box?' 'Such-a-one! She was pleased with them!' Old man! Nicholas Yermolaiyevitch! See what a fellow who was expelled from the seminary and who has read Gaboriau can do! From to-day on I begin to respect myself! Oof! Well, come!" "To her, to number four! We must hurry, otherwise--otherwise I'll burst with impatience! Do you know who she is? You'll never guess! Olga Petrovna, Marcus Ivanovitch's wife--his own wife-- that's who it is! She is the person who bought the matchbox!" "Respectable, honorable! Do honorable women murder their husbands? After that you are a rag, and not an examining magistrate! I never ventured to call you names before, but now you compel me to. Rag! Dressing-gown!--Dear Nicholas Yermolaiyevitch, do come, I beg of you--!" "I beg of you! I ask, not for myself, but in the interests of justice. I beg you! I implore you! Do what I ask you to, just this once!" "Nicholas Yermolaiyevitch! Be kind! Call me a blackguard, a ne'er-do-weel, if I am mistaken about this woman. You see what an affair it is. What a case it is. A romance! A woman murdering her own husband for love! The fame of it will go all over Russia. They will make you investigator in all important cases. Understand, O foolish old man!" "Oh, what a pleasant surprise!" she said, smiling broadly. "You are just in time for supper. Kuzma Petrovitch is not at home. He is visiting the priest, and has stayed late. But we'll get on without him! Be seated. You have come from the examination?" "Yes. We broke a spring, you know," began Chubikoff, entering the sitting room and sinking into an armchair. "Take her unawares--at once!" whispered Dukovski; "take her unawares!" "What? Marcus Ivanovitch murdered?" stammered Olga Petrovna, and her broad face suddenly and instantaneously flushed bright scarlet. "I don't--understand!" "Show us, and we will go away. Otherwise, we--"
"Come!" she said in a low voice, wringing her hands. "I have him-- hid--in the bath house! Only for heaven's sake, do not tell Kuzma Petrovitch. I beg and implore you! He will never forgive me!" Olga Petrovna unfastened the padlock, and let her guests into the bath house. Dukovski struck a match and lit up the anteroom. In the middle of the anteroom stood a table. On the table, beside a sturdy little samovar, stood a soup tureen with cold cabbage soup and a plate with the remnants of some sauce. Dukovski raised the candle to the face of the unknown, and cried out. In the red nose, disheveled, unkempt hair, the pitch-black mustaches, one of which was jauntily twisted and pointed insolently toward the ceiling, he recognized the gallant cavalryman Klausoff. "How did you come here? Let's have a drink, devil take it! Tra- ta-ti-to-tum--let us drink! But who brought you here? How did you find out that I was here? But it doesn't matter! Let's have a drink!" "Oh, shut up! You want to preach me a sermon? Don't trouble yourself! Young Dukovski, empty your glass! Friends, let us bring this--What are you looking at? Drink!" "And what do you want to know that for? It's none of your business! Why don't you drink, devil take you? If you wakened me, then drink with me! It is an interesting tale, brother, that of the boot! I didn't want to go with Olga. I don't like to be bossed. She came under the window and began to abuse me. She always was a termagant. You know what women are like, all of them. I was a bit drunk, so I took a boot and heaved it at her. Ha-ha- ha! Teach her not to scold another time! But it didn't! Not a bit of it! She climbed in at the window, lit the lamp, and began to hammer poor tipsy me. She thrashed me, dragged me over here, and locked me in. She feeds me now--on love, vodka, and ham! But where are you off to, Chubikoff? Where are you going?" When they reached home, the examining magistrate found Dr. Tyutyeff awaiting him. The doctor was sitting at the table, and, sighing deeply, was turning over the pages of the Neva. "Such goings-on there are in the world!" he said, meeting the examining magistrate with a sad smile. "Austria is at it again! And Gladstone also to some extent--"
You may also enjoy our collection of Mystery Stories, and a similar story recommended by our readers, Agatha Christie's The Chocolate Box (not yet in the public domain). Add The Safety Match to your own personal library.